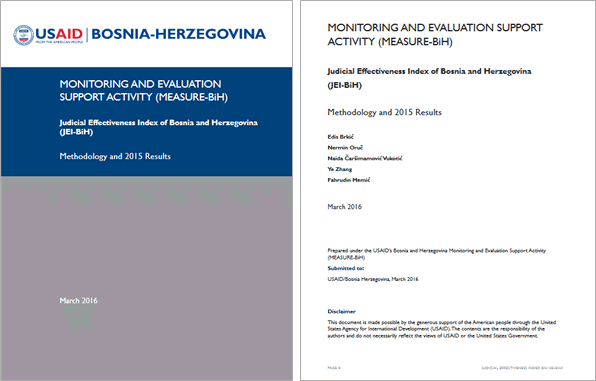 Judicial Effectiveness Index of Bosnia and Herzegovina (JEI-BiH) is a groundbreaking tool for monitoring and evaluating judicial performance. Both BiH authorities and international community have continuously supported justice sector reform in BiH for many years. However, there is little evidence on the effectiveness of those interventions. 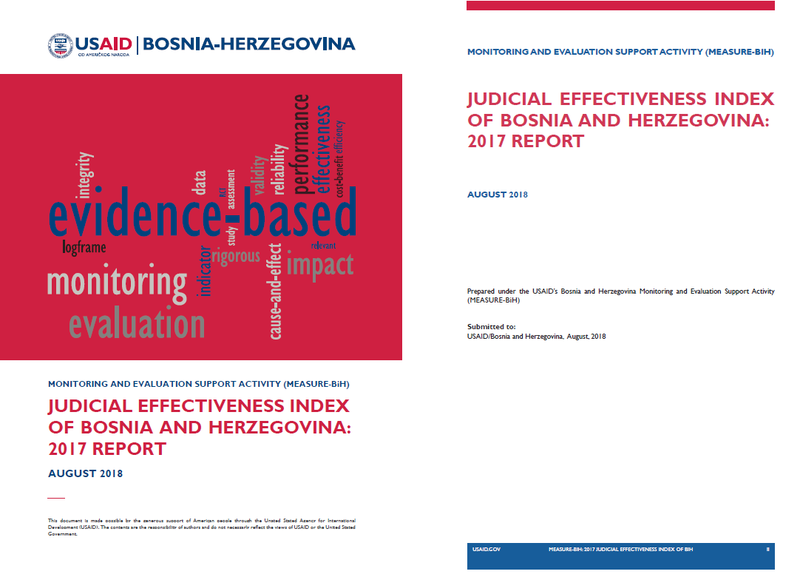 Unlike any other rule of law or justice index, JEI-BiH combines three data sources to create an objective snapshot of the BiH judiciary. Administrative data on the caseload of BiH courts and prosecutors’ offices are paired with data on public perception and professional opinion collected through surveys of citizens’ perceptions and of judges and prosecutors in BiH. 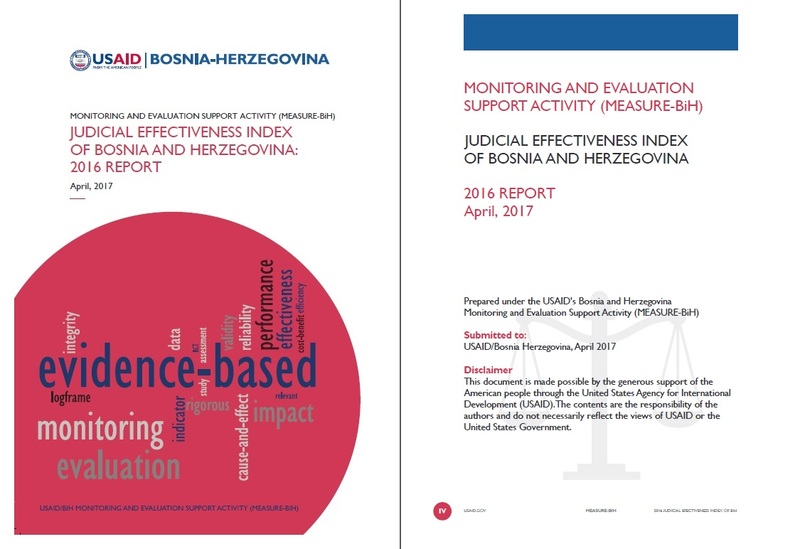 The JEI-BiH was developed by USAID/MEASURE-BiH in close partnership with the BiH High Judicial and Prosecutorial Council. As such, it is not only a tool for donors but also for BiH authorities for informed decision-making and monitoring of progress towards establishing a more accountable, effective, and independent judiciary.